Cardiff is a thriving, beautiful city that’s widely recognised as an outstanding place in which to live and study. The city caters to many tastes. Have a read at what our current postgraduate students have experienced so far. Cardiff is such a vibrant city so there are plenty of activities to do outside of your studies when you need to have a break. I love that it is so close to the coast, especially in the summer months. My favourite parts of living in Cardiff is when events such as West End musicals and Operas come to the Millennium Centre, which regularly available, as well as the rugby matches which provide a fantastic atmosphere in the city on match day. My favourite spot to study is in the beautiful science library situated upstairs in the main building. It is a lovely space to focus and I feel because it is such an attractive and open space to work in that it helps you focus on your work. Unfortunately I do not study in the city to suggest a good place for people who like to study off campus. The best places to visit in Wales are definitely Dan-yr-Ogof caves and the beautiful castles such as Castell Coch. Dan-yr-Ogof is a great place to see Wales’ natural history and one of its better-known natural monuments that is unique to Wales. Castell Coch is a way to look at the human history of the area and is a beautiful spot for a great view and some fresh air. When I am not studying, I like to explore the arcades around the city. These contain unique shops and cafes which can have merchandise from across Wales that you might not be able to get anywhere else. My favourite place is the Science Café in Castle Arcade where you can buy ice cream made with liquid nitrogen! Part of my course – News MA – requires me to constantly find different news stories throughout Cardiff. Obviously, this entails meeting and speak to a whole host of people. What I love about this is that it has shown me the sheer diversity of culture Cardiff boasts. It has also taken me to every region of the capital and, as a result, it’s impossible to escape the lovely scenery and architecture the city has. My favourite study spot off-campus is Underground Coffee, in the arcade – however, this isn’t a place to do work requiring fast internet speeds. This is somewhere to write and read – the coffee is great. West Wales is beautiful; I’ve been to Pembrokeshire a few times. It’s only an hour and half a way but it provides a nice escape from the pressures of post-grad life. Lovely beaches and rolling countryside, I would definitely recommend going there. Ross-on-Wye, too, is scenic and calming. Lovely forest walks and a river where you can kayak/canoe/ride a boat down. I love how small Cardiff is- it’s so easy to get involved with local community activities. There are an abundance of choirs to join – no surprise, given the rich choral traditions of Wales. Places like the Cathays Community Centre have all sorts of events and activities, and the Community Fridge (which tackles food waste and hunger at the same time) is worth mentioning. Cardiff has so many Bute-iful green places (excuse the pun), and when the weather is nice, there’s nothing nicer than going for a cycle around Bute or Roath park. Something I really like about Cardiff if that it’s got everything you might need or want as a student, whilst being a relatively small city at the same time. I can even walk or cycle to university, work or almost any other place I might want to visit in Cardiff. There are also plenty of sports and other activities to pick up here. I normally study at home but I also often use the SU and Heath postgraduate zones. They are less busy than most libraries and have kitchen facilities which are important at lunch time! The SU study zone is also conveniently located close to the city centre. As for traveling, I really enjoy the nature in Wales. The national parks are beautiful and I will definitely be going hiking when the weather gets a bit better. I would also like to explore more of West Wales this spring/summer. When I’m not studying, I enjoy visiting Cardiff’s parks (especially when it’s sunny). I also joined a couple of sports clubs with the students’ union. Being a postgraduate student of Cardiff University has been a fantastic experience so far. It is hard work, but I think it will be worth it. 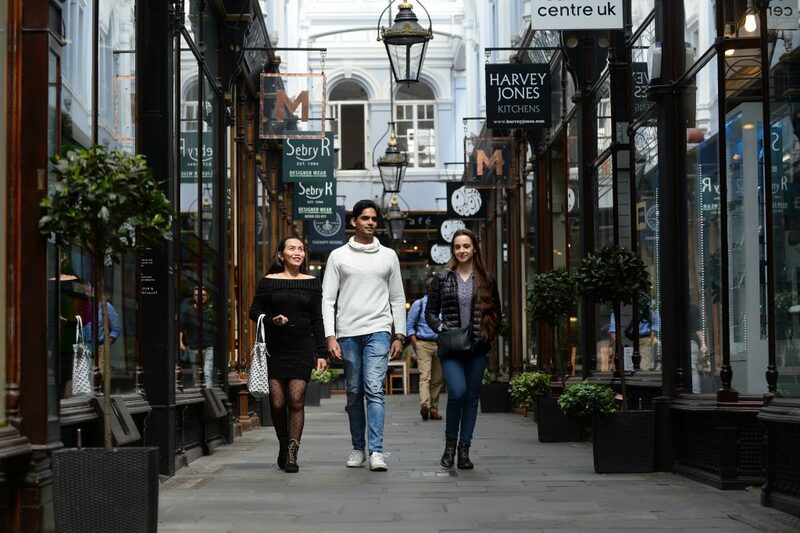 It is not only that the University is good, but Cardiff is a perfect place for a student, and specially, for International students who want to live a whole experience, both in and outside the University. Cardiff is a great place to be a student. Although it is the capital of Wales, it is not a large city, which means most things are within walking distance. It is also very cheap by UK standards. Rent is low and so are other living costs. I also like Cardiff because of its surrounding areas. Within half an hour I could either be looking out to sea in Penarth or climbing a mountain in the valleys. The centre is very compact and filled to the brim with bars, restaurants, cafes and shops. A nice thing to do is simply walk through all the arcades and the Cardiff Market. One of my favourite places in Cardiff is an arts venue called Chapter. It has a cinema and does performances and things, but I like it mainly because of the bar area which is large and has a nice ambience. It’s also a nice place to study in the daytime. Walking or cycling along the river Taff is also a nice thing to do and you can eventually wind up at Castle Coch, a fairly like castle. I would also recommend visiting LLandaff village, which is the oldest part of Cardiff. It has a Cathedral, ruins of an old palace, and a nice quaint high street. Insole Court, a nearby mansion, has recently been renovated and is also a nice place to wander. Cardiff is a wonderfully vibrant city with fantastic shopping centres and a multitude of places to dine out, plus the civic centre and museum right next to the university buildings in Cathays Park. If you live and study in Cardiff there are so many great places to go; excellent Chinese restaurants in Canton, great local pubs in Cathays with a warm and friendly atmosphere, a huge cross section of live music for a host of different musical tastes plus first class entertainment venues for musicals, dramas and comedies. There are many great green spaces; Roath Park Lake is beautiful whatever the season and has been our family favourite for over thirty years offering picnic spots (ideal for studying outdoors and away from the crowds) and the all-important walk around the lake to feed the ducks and geese. Cardiff is a mix of old and new linking history with contemporary development, thriving yet adapting to meet the needs of its population. To me Cardiff is a city that has seen it all through more than one thousand years of history but is still driving forward to make tomorrow even better.